﻿Arvil R. Burchfield is a retired U.S. Army Master Sergeant and a native of Benton, Tennessee. He entered military service in 1957 and served twenty-eight years on active duty, which included serving as an ROTC Instructor at the University of Tennessee Chattanooga. 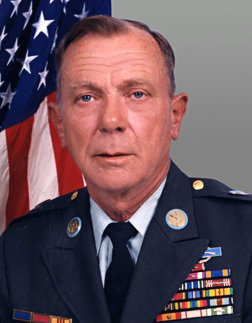 After retiring from the U.S. Army, Sergeant Burchfield taught Junior ROTC at high schools in Florida and Georgia. On February 24, 1971, Sergeant Burchfield distinguished himself by heroic action while serving in the Republic of Vietnam. On that date, Sergeant Burchfield assaulted a North Vietnamese Army stronghold to save four wounded soldiers who lay exposed to enemy fire. In spite of torrid enemy small arms and automatic weapons fire, Sergeant Burchfield and his force assaulted the enemy position and although wounded during his assault, Sergeant Burchfield succeeded in destroying the enemy positions and retrieved the four wounded men. For his heroic actions, Arvil R. Burchfield received the Bronze Star Medal for Valor and the Purple Heart Medal for wounds received in action.